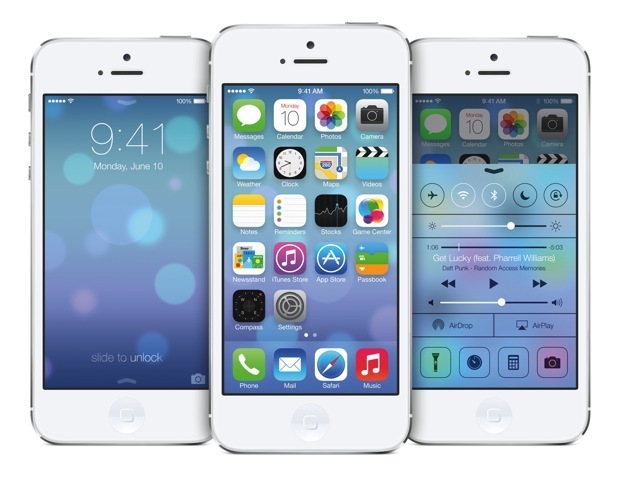 Apple unveils it seventh edition of operating system, the iOS 7, iOS7 has been completely redesigned, new features, sharper text, new user interface. With millions of people who own this device, will surely like this new edge of apple software technology. 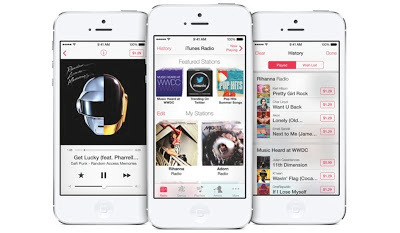 Features will include Control Center, Notification Center, improved Multitasking, AirDrop, Camera app, new Photos app that introduces Moments, iCloud Keychain, Enhanced Parental Controls, new safari interface, male and female Siri, Music app has a beautiful new design, iTunes Radio, App Store now features Popular Apps Near Me, iOS 7 also includes Kids category. The iOS 7 software is available soon in itunes for upgrade for free, software upgrade features may not be available on all devices. iOS 7 Software upgrade will be available this Fall. 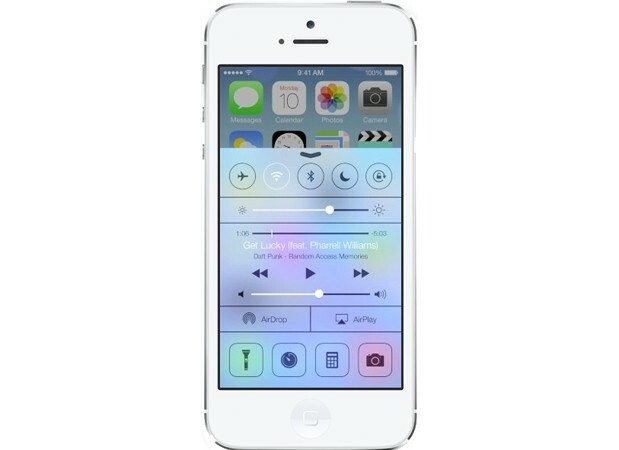 iOS 7 Control Center - with iOS 7 control center, navigating and managing your phone has never been easy, one swipe will show all most used settings, like wifi, bluetooth, music, airplane mode, adjust brightness, Clock, Camera, Calculator, Flashlight, do not disturb button also counts. Notification Center - see all your notification in one single swipe in the lock-screen that gives you important details for today like weather, events, traffic. Improved Multitasking - With apple devices fast and sleek phones, multitasking has never been this great, iOS 7 intelligently remembers your most used app, and apps will keep running in the background as it should be. AirDrop - A complete new feature of iOS7, that lets you share things you like in one drop and that's it AirDrop will do the rest. Sharing is by peer-to-peer and your connections are encrypted, no additional settings and network required. Camera App - now includes filters, that lets you easily switch between photo, video, square, and panorama with one touch. 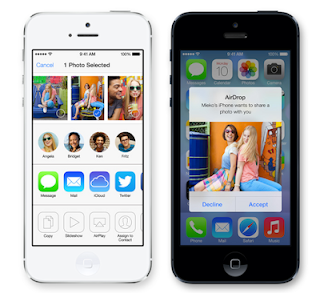 Photo App - new feature called moments, a new way to organize photos and videos based on time. Safari - Safari's new feature iCloud Keychain that securely saves your passwords and credit card information, so that next time you need it, its readily available. With Enhance parental control, your children web browsing is secured, this allows automatic block access to adult sites with flexible configuration. Siri - Male or female voice just name it, and with twitter search integration, sharing tweets has never been this exciting. Wkipedia integration, just ask Siri about the largest online encyclopedia and it will return accurate results. It also comes with the ability to change device settings, and play back voice mails. 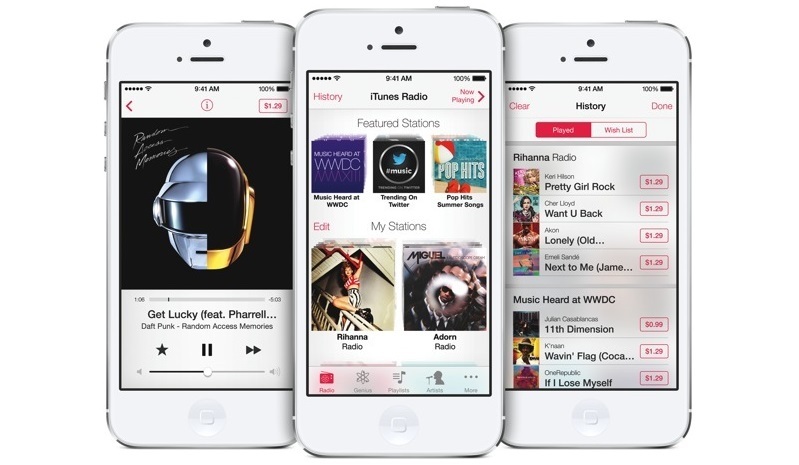 Music App - with its new design and iTunes Radio, with over 200 stations online, listen music at your fingertips, you can even choose your music genre that filters station who has it. App Store - new feature Popular Apps Near Me, as the name suggest, app store will recommend apps based on your location. It also comes with Kids Category, suitable for teachers and parents to easily discover apps for children by age.